Walking alongside families to raise the next generation of disciples of Jesus. 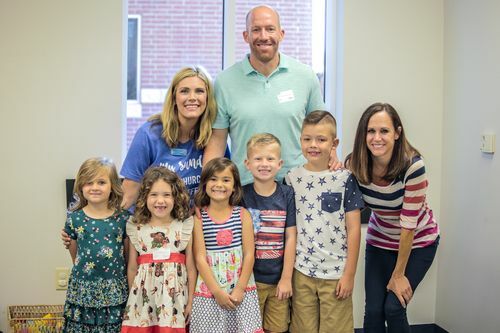 Children have access to the same God as adults and because of this, our Sunday morning program walks kids through a Christ-centered, chronological journey through Scripture with the help of incredible volunteers. To be greeted at the check-in station by wonderful volunteers. To receive a name tag for your child to wear to class along with a pick-up sticker for you. 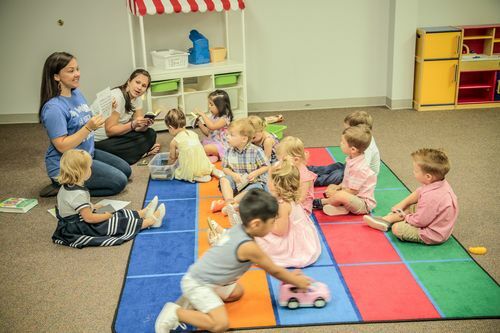 To walk your child to their small group, age/grade appropriate classroom. To drop your child off and attend your worship service. To bring your sticker to pick up your child from their small group classroom. To wear your name tag. To be greeted by your age or grade appropriate Small Group Leaders. 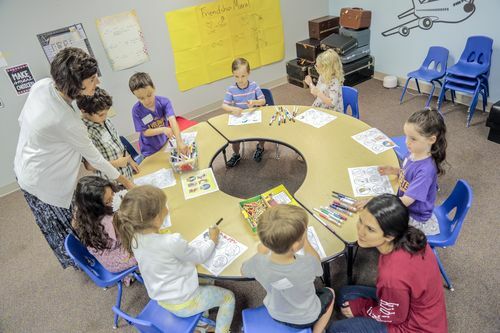 To engage in small group games, activities, songs, and crafts. To transition to large group to worship, play games, watch a video, and listen to storytellers. To go back to small group to continue games, activities, songs, and crafts. *Preschool children will receive a snack of water and Goldfish. Parents/Guardians: During service, we text parents if help is needed for their child, so please have your cell phone out and accessible.